Why not have something special for your event? See below to what we can offer at your event. A specialist Japanese caterer operating througout the North West. Besides sushi, they offer a highly original, beautifully presented canapes, fork buffet, Japanese-style BBQ and a Japanese themed home dining experience. A truly remarkable professional magician of the highest quality. His unique skills will astound your guests. He can even steal someone’s tie and put it on himself without them knowing! Perfect for any event. Transform your room and put that sparkle into your Wedding Day with our gorgeous LED backdrop. 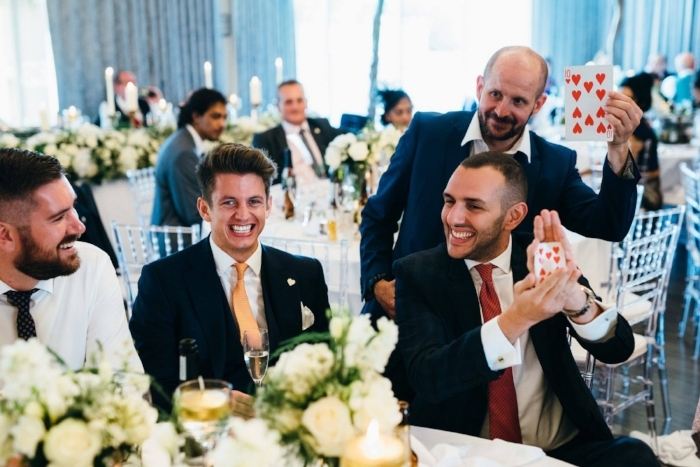 A professional casino experience including casino table hire & experienced croupiers. Prepare to enjoy an evening of entertainment without the risk of losing any real money.